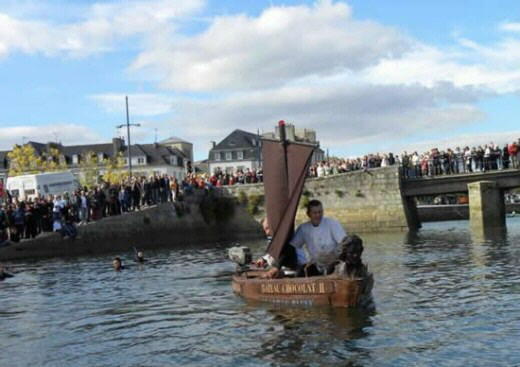 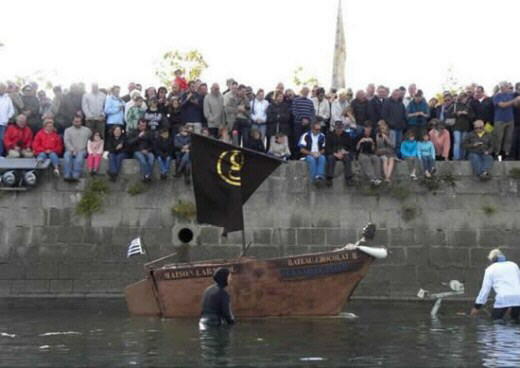 On Saturday, September 25, the walled city of Concarneau, in north-western France, hosted an event unique in the world - the launch of a full size chocolate boat. 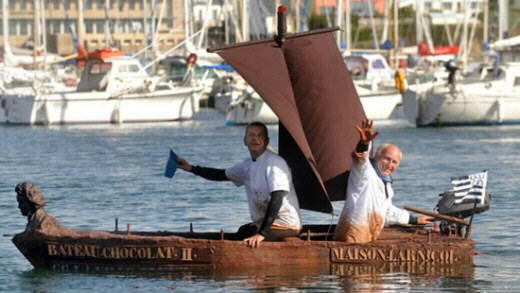 George Larnicol, the mastermind behind this crazy creation, first attempted to sail a chocolate boat on August 15, but the boat crumbled to pieces when turned over from where it was mounted. 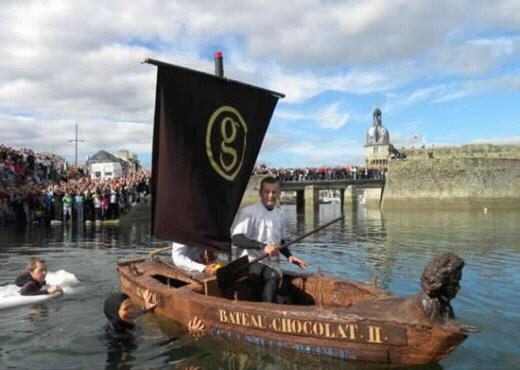 But one small failure wasn't enough to make Larnicol quit, and on Saturday, he returned to Concarneau port, with a new chocolate boat named "Bateau Chocolat II" (French for Chocolate Boat II). 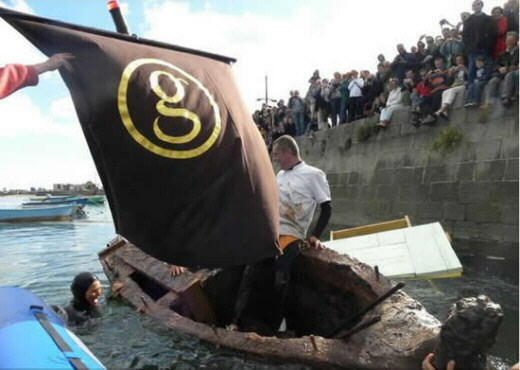 Check out more details with 6 more images after the jump. 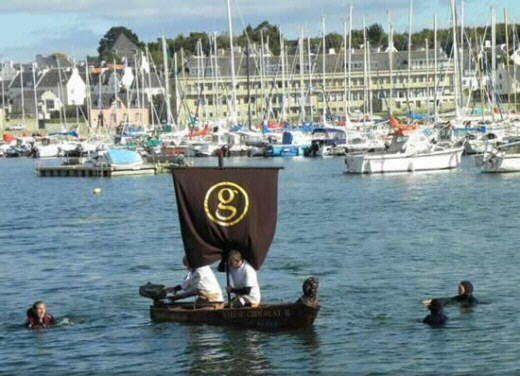 Chocolatier George Larnicol, who owns a chain of chocolate shops in western France, promised to build a giant 12 meter-long yacht, with two masts, made of 6 to 8 tons of chocolate, sometime in 2012. 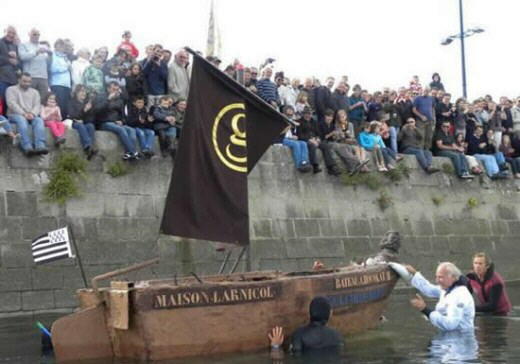 That's going to be a sight to be hold, and you can bet you'll read about it on Oddity Central.